The Rosback model 201CA semi-automatic saddle stitcher is designed for both large and short runs. Its heavy duty construction makes it both reliable and durable. It can produce booklets, pamphlets and brochures from 3.5 x 5″ (9 cm X 13 cm)to 12 x 15″ (30 X 38 cm)at speeds up to 2000/hr. It is equipped with 2 stitcher heads, 2 feeding stations, and an automatic delivery system. 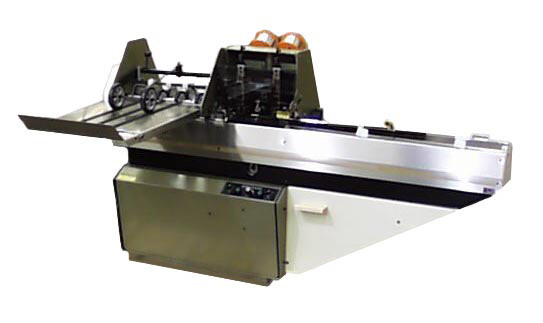 The model 203 uses this core design and has six gathering pockets and a three knife trimmer for entry level saddle binding at speeds up to 5,000 booklets per hour.